Universal Robots is offering safe, flexible and easy to use 6 axis industrial robot arms of different size globally. They develop industrial collaborative robot arms that automate and streamline repetitive industrial processes. Universal Robots can automate virtually anything from assembly to painting, from screw driving to labeling, from injection molding to welding and from packaging to polishing. 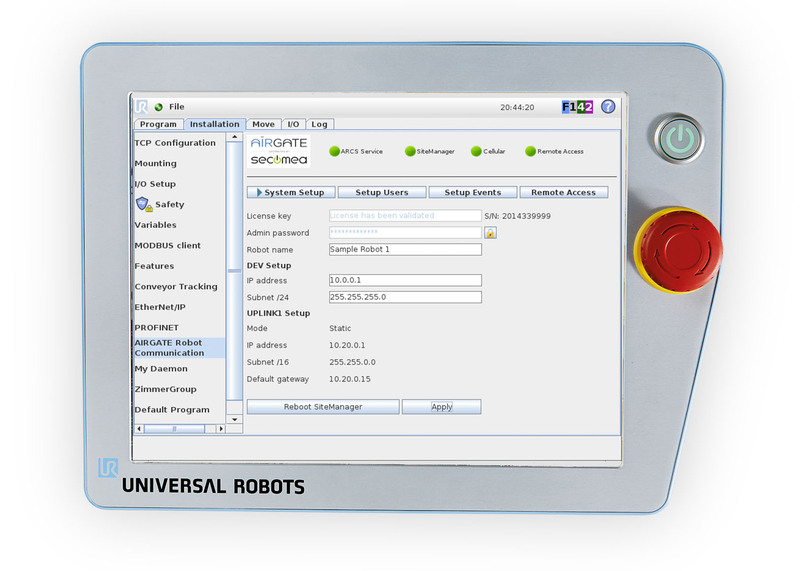 Universal Robots wanted an IoT solution that made it possible for their customers to connect their robots with the purpose of giving robot operators on the production floor SMS notification if the robots stopped unexpectedly or ran out of supply. In addition providing internal or external support organizations with the ability to remote access the robots for trouble-shooting, operation or programming the robots. The challenge of Universal Robots was met with the ARCS IoT solution. 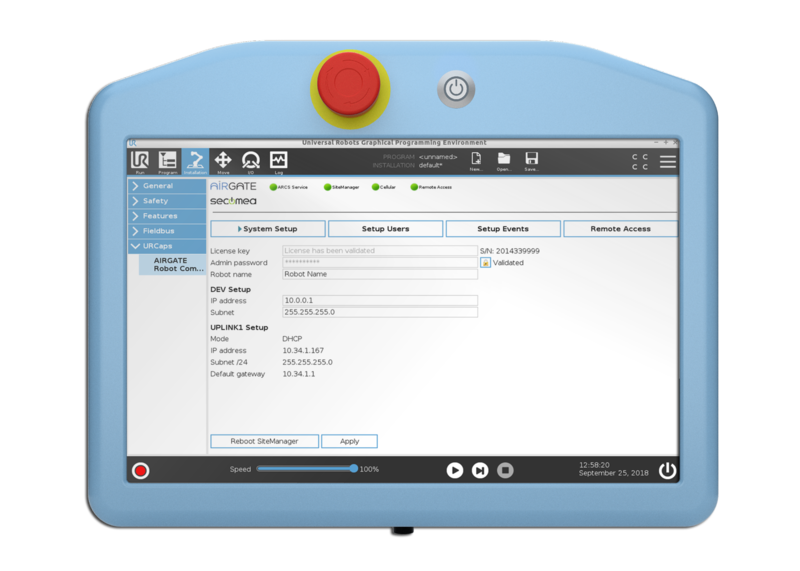 AIRGATE delivers the integrated and Universal Robots certified software with a secure remote access gateway from Secomea, which together makes the ARCS solution easy to install, program and operate. On top comes a mounting kit easy to mount in to ways in the controller box of any Universal Robots. Universal Robots has now in addition to their collaborate robots an IoT solution to offer their customers that makes it as easy to install, program and operate as Universal Robots are in general. The ARCS solution is accessed directly from the teach pendant of the robots. Besides that the solution has the capability to reduce overall production costs, improved quality, minimized downtime and increased operational efficiency. The IoT solution ARCS is developed for Universal Robots by AIRGATE and distributed by Secomea. ARCS is integrated in Universal Robots software and the solution is accessible from the teach pendant of the robot. ARCS is providing robot operators with SMS notifications if the robot unexpectedly stops or runs out of items. The solution also allows internal or external support organizations to remote access the robot from any device to trouble shoot, program or control the robot.